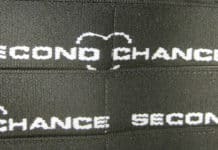 A federal bankruptcy judge has approved a Florida company’s $45 million bid for the assets of Second Chance Body Armor Inc., the target of lawsuits accusing it of making faulty bullet-resistant police vests. Judge James Gregg of the U.S. Bankruptcy Court in Grand Rapids signed an order authorizing the sale to Armor Holdings Inc. of Jacksonville, Fla. Second Chance is headquartered in Central Lake in Antrim County, and has a manufacturing facility in Geneva, Ala. Second Chance is facing more than a dozen lawsuits by states, police agencies and individuals. The U.S. government filed a suit in July. The complaints accuse the company of selling vests made with Zylon, a protective synthetic fiber, despite evidence it might be defective. Toyobo Co., the Japanese manufacturer of Zylon, also has been hit with numerous lawsuits. Toyobo announced July 13 it was paying $29 million to settle class-action litigation in seven states that sought damages for allegedly defective bullet proof vest. The case involves some 150,000 bullet-resistant vests sold in Michigan, Oklahoma, West Virginia, Missouri, Louisiana, New Jersey and California. Members of the class potentially include individuals, municipalities and police agencies across the country that wore or paid for the vest. 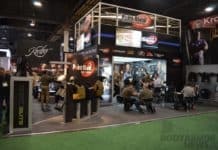 The settlement is to be finalized Sept. 23.Shares in Armor Holdings closed $41.05 Thursday afternoon on the New York Stock Exchange, up 35 cents.